Almost two years in, Bixby is still not the most exciting or versatile virtual assistant available on Samsung phones. But the Galaxy S10 family announcement actually included arguably the greatest Bixby upgrade yet. Unfortunately for Samsung, by far the most requested feature since the early 2017 launch of the Galaxy S8 has been the ability to reprogram the dedicated side-mounted button on the company's flagship handsets from these past couple of years. Fortunately, a compromise is being reached with the Galaxy S10 between the tech giant's natural desire to promote a service that's undoubtedly eaten up more money and resources than the benefits generated so far and the users' itch for personalization. 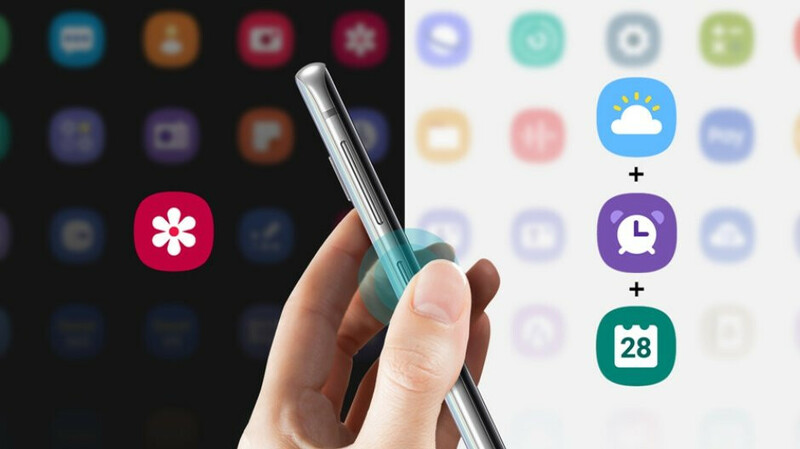 Even better, the Bixby Key Customization functionality that's already made its way over-the-air to some pre-release Galaxy S10 units out in the wild is now expanding to the company's older high-end devices. While we knew that was in the pipeline, it's certainly surprising to see this software update rolling out for the Galaxy S8, S8+, S9, S9+, Note 8, and Note 9 so quickly. Technically, you're looking at an update of the Bixby app rather than the actual phones, after which you only need to access your handset's "Settings" menu, followed by "Advanced features", and finally, tap the "Bixby key" option. You'll then get the choice between programming said button to launch Bixby Home with a single or a double press, which means you can't completely disable the digital assistant. But of those two, the option that will not remain dedicated to Bixby can be used to open any app you want or run a quick command of choice. For instance, you can press once for Google Assistant and twice for Bixby. Or the other way around. Or any combination you think will make your digital life easier and user experience better. Just keep in mind pressing and holding the hardware button will always open Bixby Voice, and there's no way to change that. Bixby is cool for me, but I'm not heavy into asst use either. I rarely use assistants myself...probably watched too many old sci-fi movies!